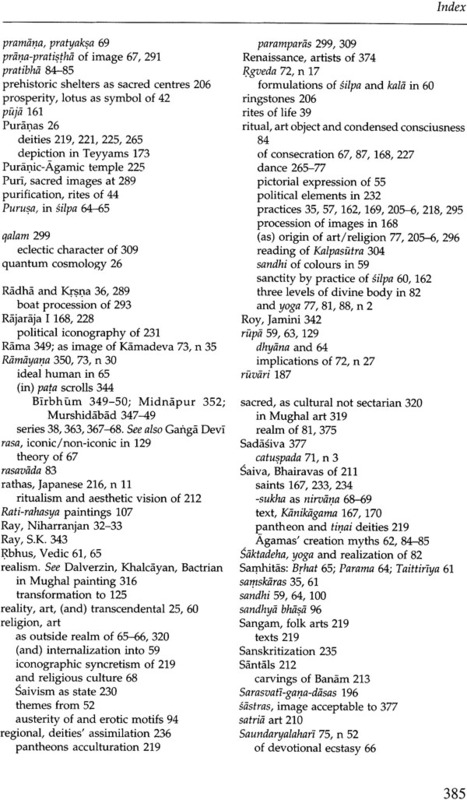 The volumes of the PROJECT ON THE HISTORY OF SCIENCE, PHILOSOPHY AND CULTURE IN INDIAN CIVILIZATION aim at discovering the main aspects of India's heritage and present them in an interrelated way. These volumes, in spite of their unitary look, recognize the difference between the areas of material civilization and those of ideational culture. The Project is not being executed by a single group of thinkers and writers who are methodologically uniform or ideologically identical in their commitments. In fact contributions are made by different scholars with different ideological persuasions and methodological approaches. The Project is marked by what may be called 'methodological pluralism'. In spite of its primary historical character, this Project, both in its conceptualization and execution, has been shaped by many scholars drawn from different disciplines. It is for the firs time that an endeavour of such a unique and comprehensive character has been undertaken to study critically a major world civilization like India. 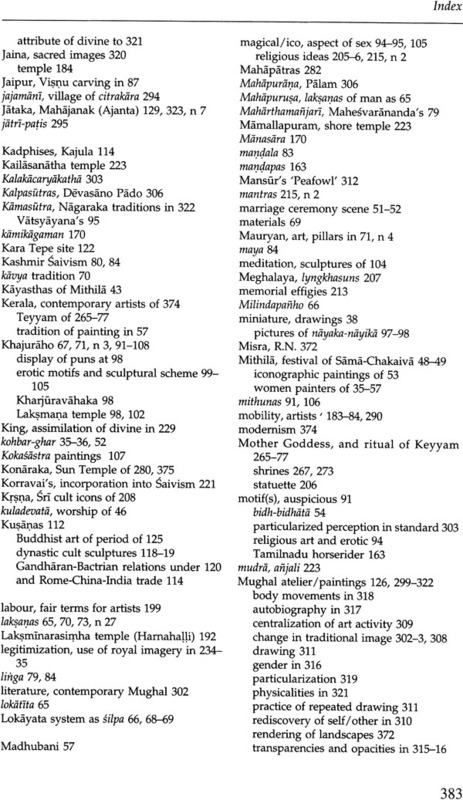 This volume offers essays by some of the most eminent art historians of India. 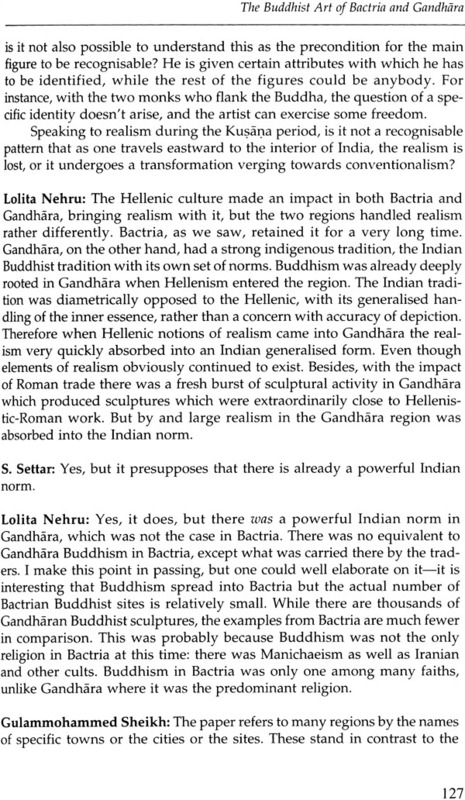 The subject range from Gandhara to Kerala, classical to folk arts and ancient times to the place of traditional arts in the world of today. Each essay is an authoritative work by an expert in the field. Although they cover a wide range, the contributions share an interest I the artist, and the social and philosophical context of his work. The proceedings of the seminar, distinguished by lively discussions, have been transcribed and included here. The exchanges between scholars, as recorded here, and the essays presented, contain fresh insights and much new material. 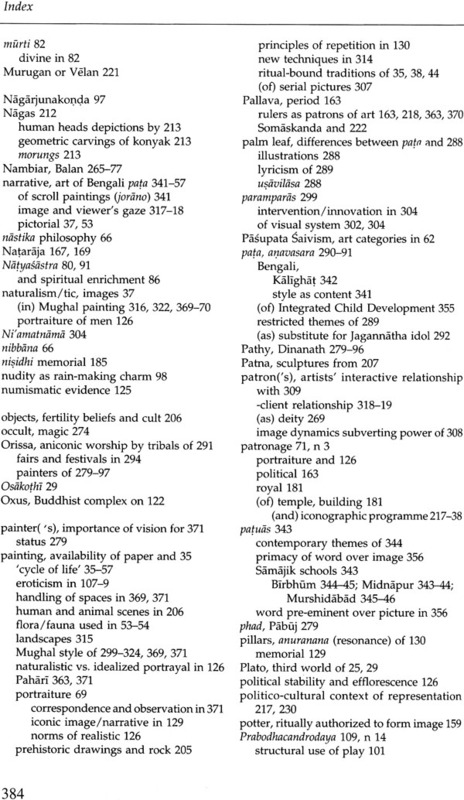 There are assessments here off work done, and pointers towards the direction in which the volume of art history in India might lie. The volume with its fifteen papers and index is a source book of great value to interested scholars of fine arts and general readers alike. D.P. CHATTOPADHYAYA, after obtaining his Ph.D. degrees from Calcutta University and London School of Economics, taught philosophy at Jadavpur University, Calcutta. He is the founder Chairman of Indian Council of Philosophical Research, New Delhi. 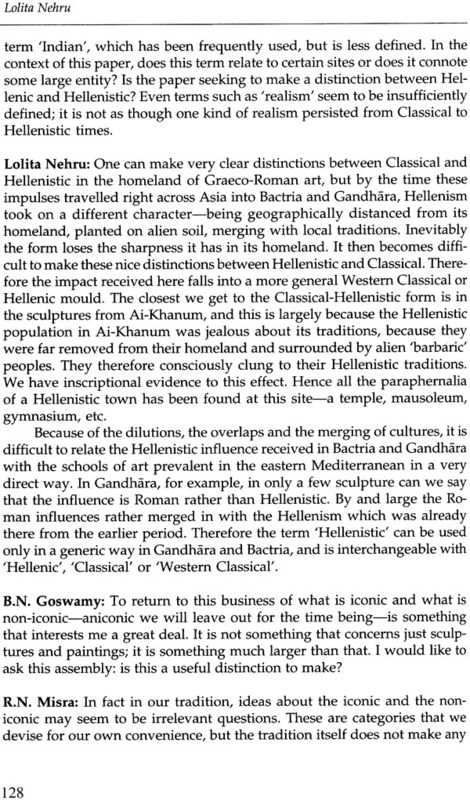 Currently, he is the Chairman of the Centre for Studies in Civilizations, and General editor of this Project. Chattopadhyaya is one the propounders of interdisciplinary studies in the country with his wide knowledge on philosophy, political theory, economics, history and science. His publications include Individuals and Societies: A Methodological Inquiry (1967); History, Individuals and World (1976), Rupa, Rasa O Sundara (in Bengali, 1980); Sri Aurobindo and Karl Marx (1988); Anthropology and Historiogrphy of Science (1990); Induction, Probability and Skepticism (1991); Sociology, Ideology and Utopia (1997). B.N. 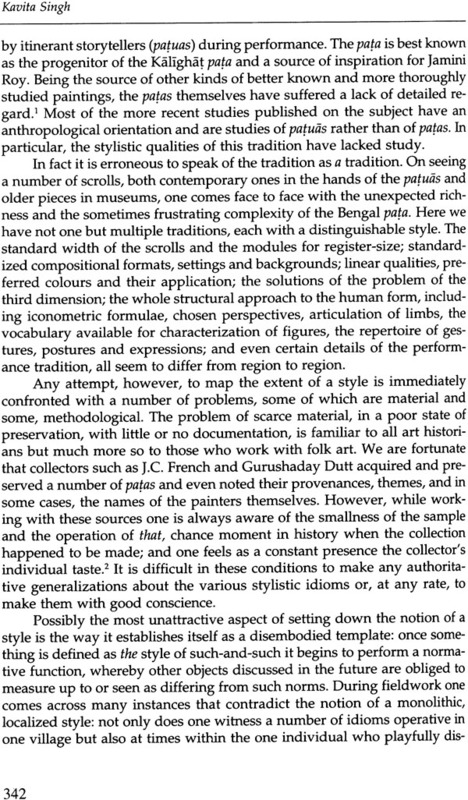 GOSWAMY, distinguished art historian, was till recently Professor of Art History at the Panjab University, Chandigarh. 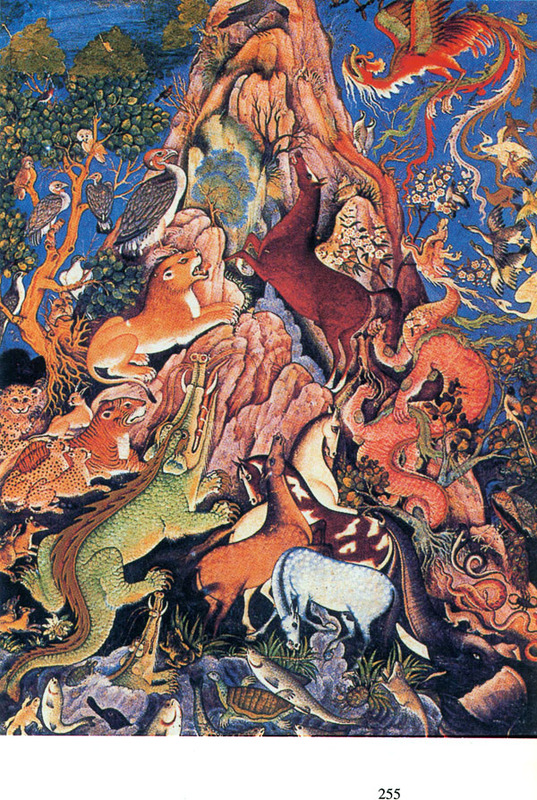 A leading authority on Indian art, his work especially in the area of Pahari painting, is widely regarded as having influenced much thinking. He has written extensively. 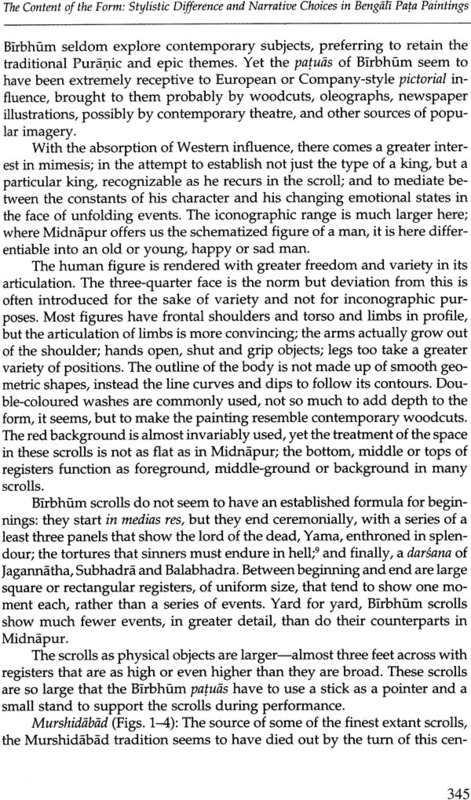 Among his publications are: Pahari Painting: (The family as the Basis of Style (Marg, Bombay, 1968); Painters at the Sikh Court (Wiesbaden, 1975); Essence of Indian Art (San Francisco, 1986); Wonders of Golden Age (Zurich, 1987); Pahari Masters: Court Painters of Northern India (Zurich, 1992); Indian Costumes in the Collection of the Calico Museum of Textiles (Ahmedabad, 1993); Nainsukh of Guler: A Great Indian Painter from a Small Hill State (Zurich, 1997); and Painted Visions: The Goenka Collection of Indian Painting (New Delhi, 1999). KAVITA SINGH worked on the Indian picture Showmen tradition for her Ph.D. She has been a contributor to Marg, and wrote for the volume, Indian Paintings: Essays in Honour of Karl Khundalavala. 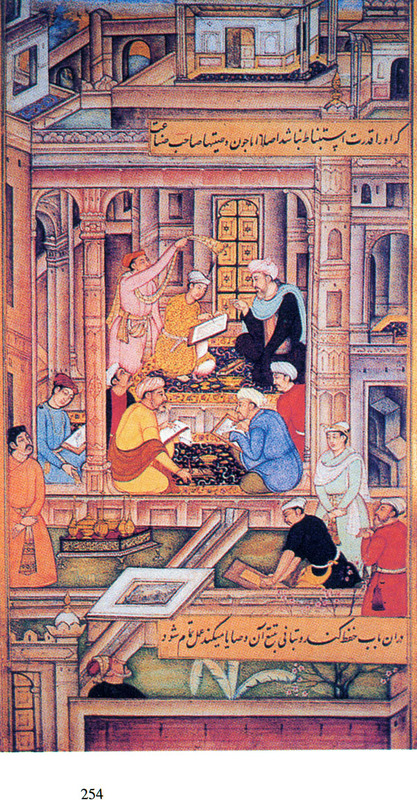 Presently, Research Editor of Marg, a journal of the arts, she is also engaged in working on the Binney collection of Indian paintings in San Diego. 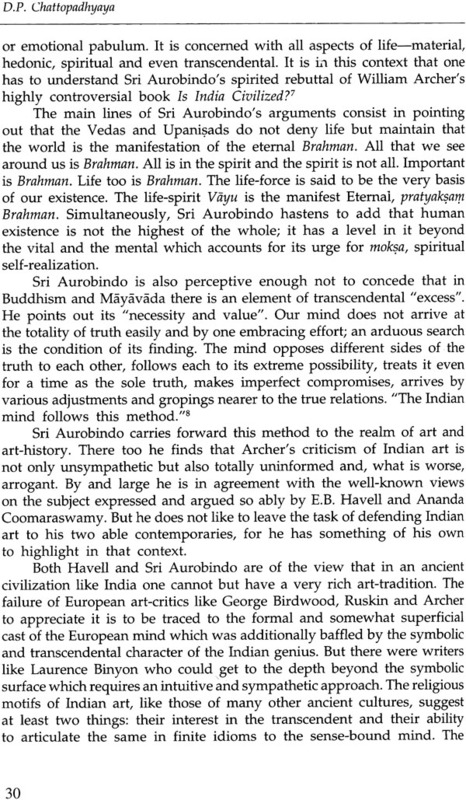 Aesthetically speaking, words like aditi (infinite), paramatma (supreme self) and anubhava (feeling or experience) are both intriguing and elusive. "Intriguing", because they rouse some expectation in us, expecting some—thing reasonably definite, finite (diti) and concrete (murta). 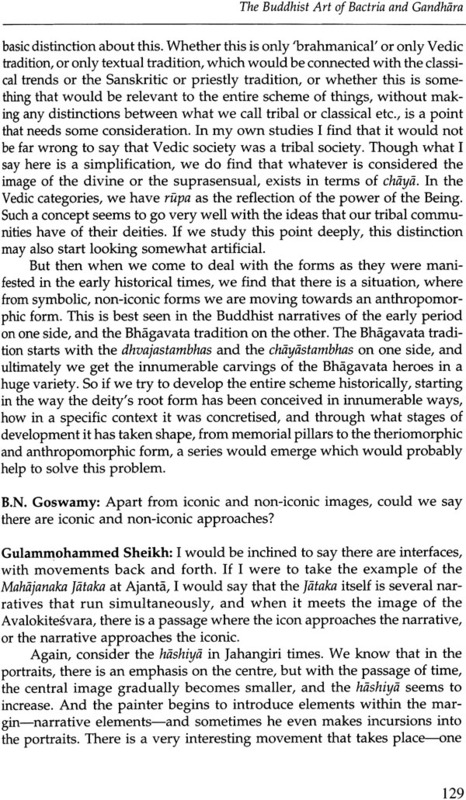 "Elusive", because in the absence of something concrete and formed the concepts like aditi and anubhava sound too philosophical to be used in the context of different forms of art. Formation or creation of art is intended to express what is not easily expressible in and through words, colours, brush-strokes, and other mediums like rock, clay and wood which infuse rasa into words, impart meaning into them and make express through them what is not ordinarily there. 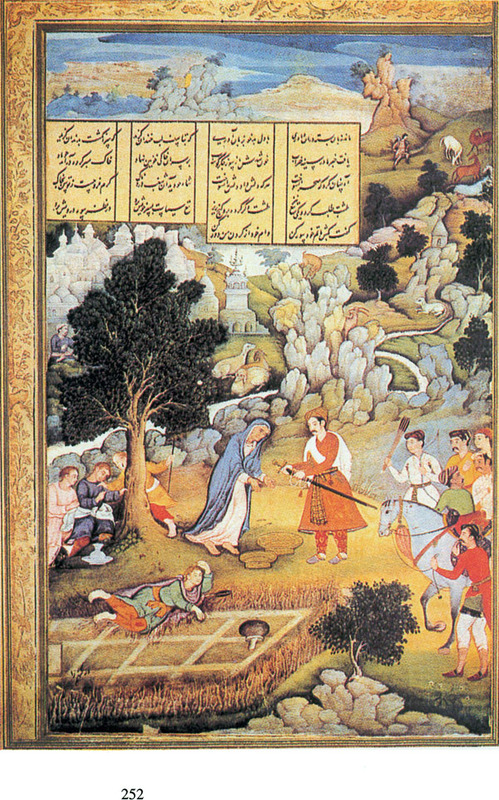 Only the poet (kavi) or silpa (artist) can achieve this "mira- cle". Similar "miraculous" powers are attributed to the sculptor, painter, patuii, and wood-carver. From out of a slab of stone the sculptor can carve out a lively figure or expressive image which was not there before. Similar skill and imagination are found also in other types or artists. The task of imagination is to express or create what is not there. To express, reproduce or represent what is already there hardly constitute a work of art. Only few photographs, for example, can raise their work to the level of art. Artistic creation is not to be attributed only to imagination. Any and every imagination is obviously not artistic. Some conception, however vague or inarticular it may be to start with, must be there in the aesthetic consciousness of the artist. By his skill, practice and above all, genius (pratibhii) the artist gives concrete form to the spirit of beauty which inspires him. Briefly speaking, this is how through human creativity that classless and boundless infinity gets beautiful and finite forms, aesthetic spirit is given a beautiful body. If rupa is not nameable, no art (silpa) is possible. Both painting and palace, for example, may be artworks. But "how" can be answered only through their objective (visaya) and subjective (vissyi) details. In art subject/man tries to express his consciousness of beauty intending some or other object. In the "primitive" forms of art the sensible and the transcendental, the sacred and the profane, the material and the formal, substantially overlap, if not are indistinguishably fused. In the context of arts the use of words like "modern" and "primitive", if not sufficiently clarified, is misleading rather than enlightening. Art work may be on plain floor, mud wall, paper, canvas and many other things. What is most important is its conceptualization in the artist’s mind. Thematization and externalization are secondary or tertiary acts/step. Since the tradition and his work betray their marks. Professor B.N. 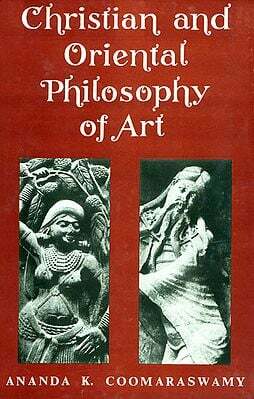 Goswamy and his fellow art theorecticians have presented us an excellent book which is sure to evoke interest and inquiry, appreciative and critical, among the connoisseurs and the general readers. 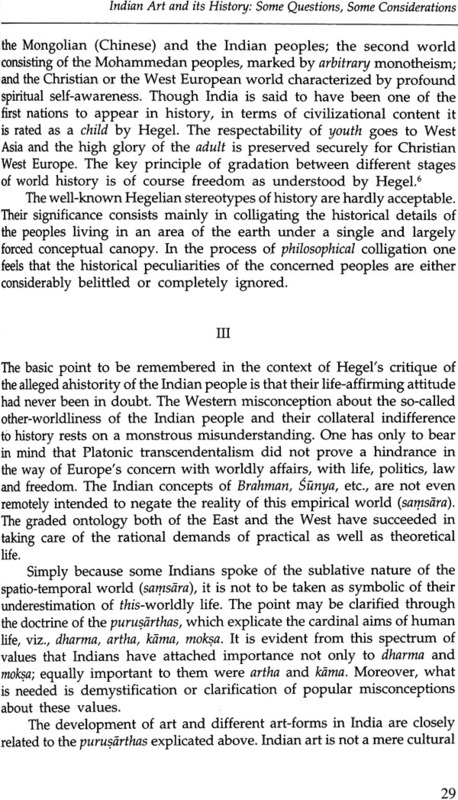 The Seminar of which this volume constitutes the Proceedings was held as a part of the endeavour to develop different approaches to the writing of a History of Indian Science, Philosophy and Culture, the extensive, ten-volume project undertaken by the Indian Council of Philosophical Research under the direction of Professor D.P. Chattopadhyaya. 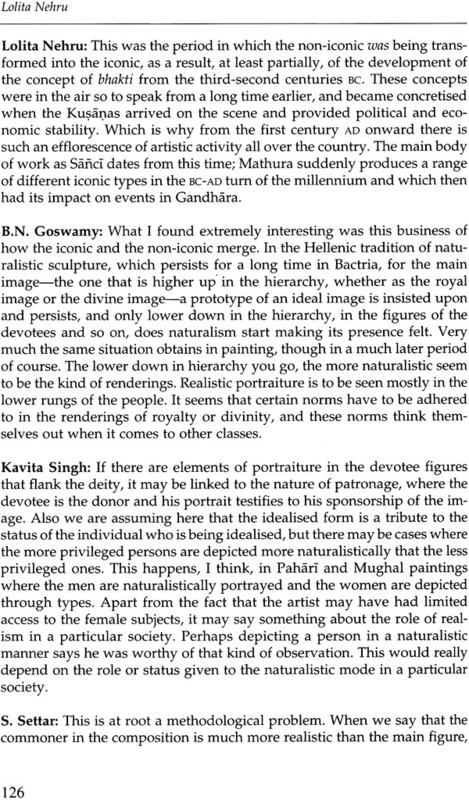 It was conceived as an art historians' meet but one in which the scholars' emphases would be different, issues would be raised as have a bearing on the understanding of matters outside the strict boundaries of art. The initial papers circulated to intending participants made stated this intention quite clearly. 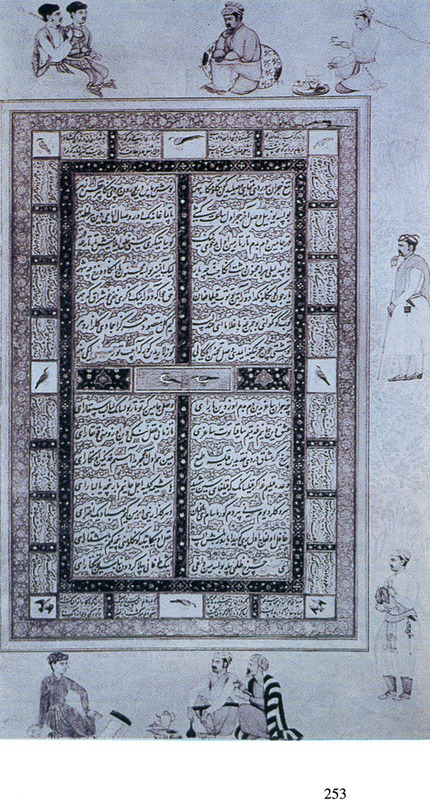 "The focus of the (then proposed) Seminar", the note read, "is on the visual art of India, but its aim is not to examine them along conventional, or simply chronological, lines: the endeavour is aimed at grasping and understanding enduring concerns and forms, and to place them in some kind of a historical perspective without necessarily using a linear method or established historical categories. 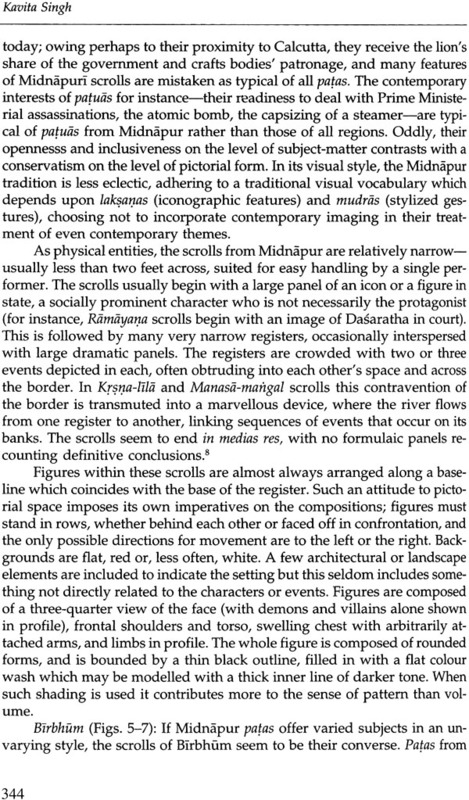 While not everything can be covered within the format of a seminar like this, some issues that need to be addressed would strike one as obvious: the 'necessity' of art in Indian eyes, for instance; the relationship between art and society; the connections between the arts themselves; linkages between the' classical', 'folk' and' tribal' levels of art. 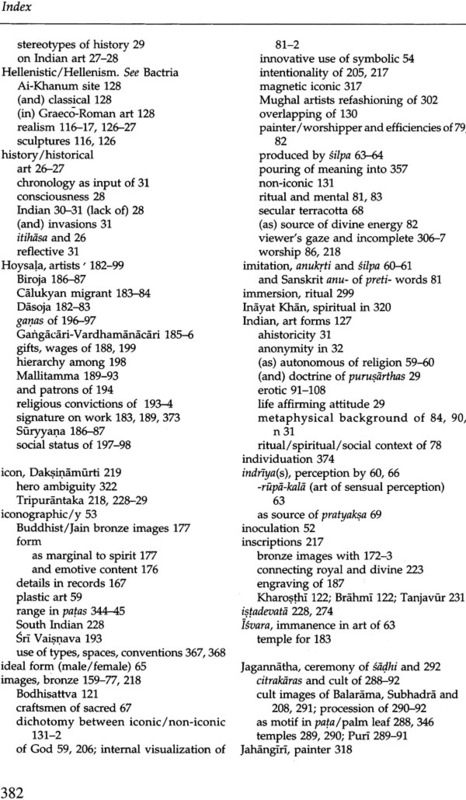 These issues apart, themes like iconic and non-iconic approaches to art; the religious basis of art; art and eroticism; assimilation, appropriation and adaptation; patronage; transmission; continuities and discontinuities, to name a few, should be figuring in the discussions." This precisely is what the distinguished group of scholars who met in February 1994, for this three-day Seminar in the exquisite ambience that the Sanskrit Pratishthan provides at Anandgram, set out to do: discussing and asking questions. There was some, but very little, straying from the focus. 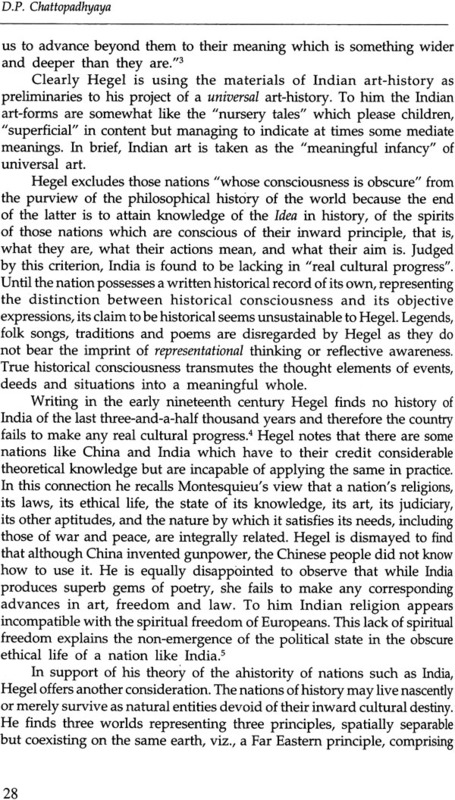 At the very beginning of the seminar, Ananda Coomaraswamy's cautionary words, not too charitable to the community of Professors, in his essay, "What is the Use of Art, Anyway", were recalled. "We are familiar", he had written, with the contemporary schools of thoughts about art. We have on the one hand, a very small, self-styled elite, which distinguishes fine art from art as highly skilled manufacture, and values this fine art very highly, as a self-revelation or self-expression of the artist. This elite, accordingly bases its teaching of aesthetics upon style, and accordingly, makes the appreciation of art a matter of the manner rather than of the content, or true intention of the work. These are our Professor of Aesthetics, and of the History of Art, who rejoice in the unintelligibility of art. At the same time they explain it psychologically, substituting the study of the man himself; for the study of the man's art. And these leaders of the blind are gladly followed by a majority of modern artists, who are naturally flattered by the importance attached to personal genius. 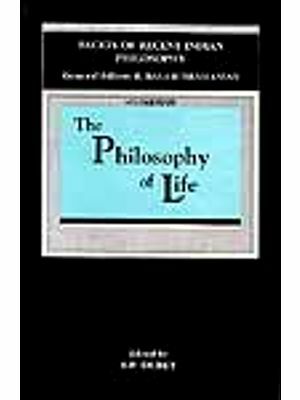 "On the other hand", Coomaraswamy had gone on to say, "we have the great body of plain men, who are not greatly interested in artistic personalities, and for whom art, as defined above, is a peculiarity rather than a necessity of life; and have in fact no use for art. And over against these, I continue, these two classes, we have a normal but forgotten view of art, that art is the making well or properly arranging anything whatever, that needs to be made or arranged, whether a statuette, an automobile, or a garden." Starting with this "normal but forgotten" view of art, and the questions that it leads to-why is it that man makes things well, how is it that he makes them well, and what are the factors that make it possible for him to make things well-the scholars proceeded to say and question the things that are said and questioned in the papers included in the present volume. Predictably, not everything could be covered in these three days but what was said, as would be obvious from the contents, was highly engaging. Particularly engaging were the discussions which followed the presentation of papers. A lightly edited version of these is also included here. In the end, an acknowledgement of kindness received. The stimulation of mind that the seminar provided would not have been possible but for the imagination and the initiative of Professor D.P. 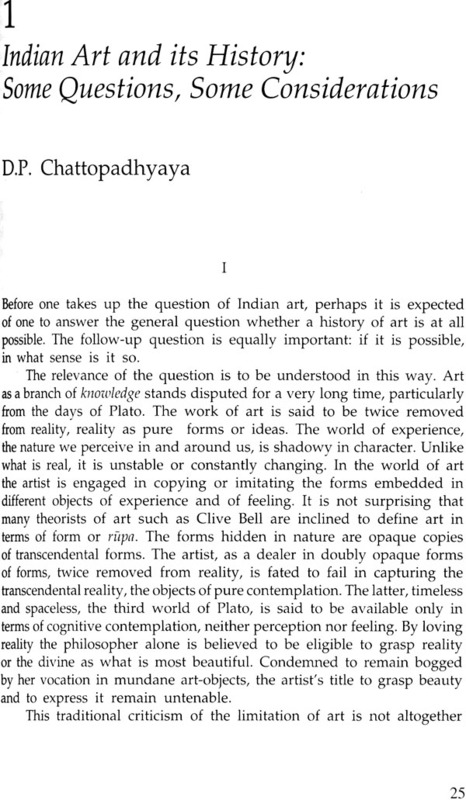 Chattopadhyaya, and the support-rich and textured-that was provided by Professor Bhuvan Chandel and by the academic and administrative staff of the Indian Council of Philosophical Research under her leadership. To Mr. O.P. Jain and the staff of Sanskriti again the seminar owes much: to the delightful physical environment of the place, they added sensitively a touch. of warmth, an awareness of the needs of people as they engage and lose themselves in the search for answers. It was the efforts of my younger colleagues and students, especially Kavita Singh, Pooja Sood, Preet Bahadur and Shivdeep that made the seminar run as smoothly as it eventually did. Kavita Singh has been associated with me in working on the volume and was responsible for seeing it through many and difficult stages, going about this work with her usual energy and a sense of commitment. As I said, I am aware of all the kindness mentioned, and am grateful.